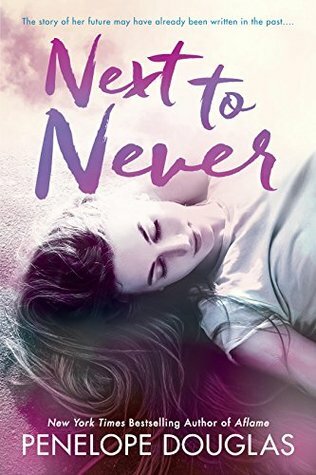 Next to Never opens with Quinn, the younger sister of Jared and Madoc, two characters from the Fall Away series. Quinn is seventeen and doesn’t know her path in life, she does what her parents want, but she wants to find something she’s passionate about. Randomly, Quinn receives a romance book from Canada, no return sender listed. As she reads, she begins to realize this story might not be fiction at all, and connected to her life…. I had a lot of trouble figuring out who was married to whom, who was blood related or not, and just keeping track of names in general. I think this book really could have used a family tree diagram to follow in the beginning of the book. Once I got the hang of things it became easier to read but I honestly still don’t know a lot of which kids belong to whom….. I went into this book blind, I didn’t really read the blurb beyond knowing Quinn was Jared’s younger sister. I didn’t know a huge part of the plot would be Quinn reading about the story of her parents, how Kat and Jase fell in love and how it affected their lives. I thought it was a beautiful love story, one of two people who just didn’t know how to get the timing right. I do feel this book despite being from Quinn’s perspective, she was just an observer, it wasn’t her own story. Even in the present time she’s just observing what her other younger family members were doing, except for one racing instance and the end. I wish we had seen more of her in the story, but after the end I suspect there is more to come. If Quinn and Lucas get their own book I will be DESPERATE for it!